Independent Feedback based on 103 verified reviews. Effortless! Two sessions of therapy and it worked just as Malminder said it would. Thank you. Malminder ‘Mindy’ Gill is an award-winning Harley Street Hypnotherapist, NLP Master Coach, EFT Practitioner, Meditation Teacher. Author, and Speaker. Her impressive client list includes royalty, celebrities, and CEOs, as well as many individuals that she treats in person, or through her self-help downloads, audio recordings, and podcasts. Malminder is passionate about developing the use of hypnotherapy and coaching to enable more people to overcome obstacles in their lives. 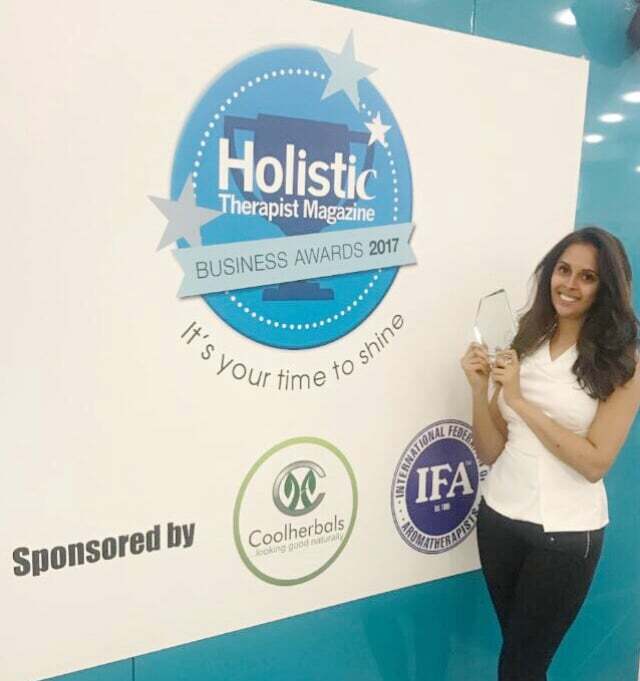 Recently Holistic Therapist Magazine named her as Finalist for Best Practitioner 2016 and Beauty Olympia awarded her 3rd place for Best Practitioner 2017. Outside of Malminder’s busy client work, she has completed post-graduate academic studies on Clinical Hypnosis at Robert Gordon University. Her work is informed by rigorous and innovative scientific research, and she regularly publishes academic papers. Most recently her work on chronic pain was published in the Journal of Sleep & Hypnosis. Malminder also regularly appears on TV and radio (including BBC News and The Daily Show) and in print and digital media (Women’s Weekly, Huffington Post, The Independent) to give her trusted opinion on hypnotherapy and coaching. Malminder’s debut self-help book, Unleash your Inner Goddess and Stop Worrying, was voted in the top three self-help books by Woman and Home magazine, and her next is planned for 2018. After your free 15-minute call we start off with an in-depth consultation (£300) where we explore and discover the details and roots of the presenting problem(s) in detail. We then discuss solutions and what you are hoping to achieve, any factors which may prevent success and the level of support you feel you may need during therapy.